Talent and drive carried him to the top of his profession. His passion for restaurants began 30 years ago in a small French bistro in the heart of Ontario where he began as dishwasher and left as Executive Chef. Educated at the renowned culinary institute of Stratford Chefs School, Tim has spent his life perfecting food in fine dining restaurants, and banquet-catering facilities. His role in pioneering the Gastro-Pub movement in Canada has helped to re-define dining in Ontario. Tim is a master of classic food and will bring flavour and delight to your culinary event. Steve’s culinary accolades are rich with international experience and multiple genres of cooking. Well versed in large scale catering and fine dining, Steve Vaughn is an executive chef with much to offer your special event. Steve has worked as a head chef for over 25 years. Professionally trained at Canbourne College in the United Kingdom, he worked in North Wales and Bermuda before immigrating to Canada. During his time overseas, Steve developed his skills in both French and North American cuisine. Once in Canada he pursued a successful career in fine dining as well as banquet and large event food service. An expert in food quality, and sourcing foods locally, Steve is a master at developing classic menus inspired by locally produced foods. Jeff's culinary talent was evident at a young age. Apprenticing in fine dining establishments he quickly made a name for himself as a creative chef who understands fine food. 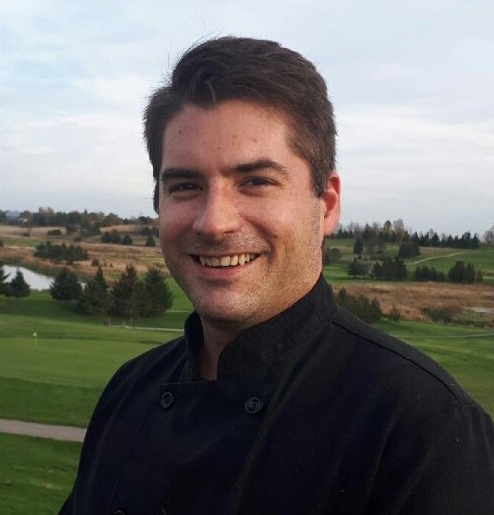 Jeff has extensive experience in restaurants and banquet events, hailing in succession from The Aberfoyle Mill, Langdon Hall, and as a partner at Guelph's Fat Duck Gastro Pub. High quality and high performance are Jeff's hallmarks. A knowledgeable chef, he has a natural ability to effortlessly turn out truly excellent food. Having devoted his life to culinary, cooking is Jeff's Zen. His flare and raw talent are what he brings to every special event, making your day delectable and memorable.